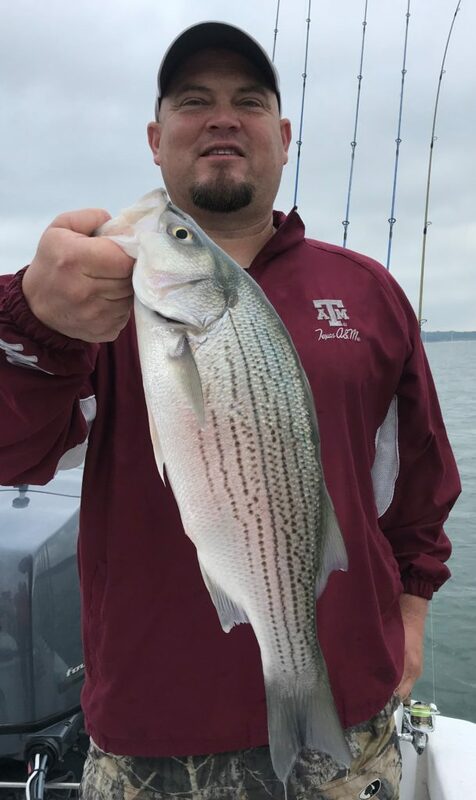 WHO I FISHED WITH: This past Monday morning I fished with MJ Linder of Belton, MJ’s dad, Gene Linder of Abilene, and Ryan Mighell and Justin Hall, both of Gatesville, TX. MJ is the owner of Mobility Therapies (think of a physical therapy company that makes house calls), Gene is a retired educator from Abilene Christian University, Ryan is a fireman on the Killeen Fire Department, and Justin is a youth pastor at the Church of Christ in Gatesville. MJ Linder of Belton with our largest fish of the trip, and his personal best hybrid — a 25 1/8″ fish taken from 38 feet of water. 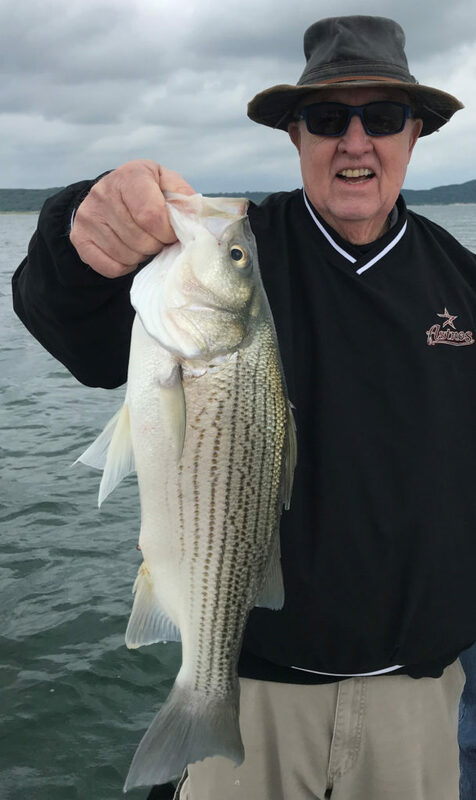 MJ’s dad, Gene Linder, of Abilene with his best fish of the trip. Killeen fireman Ryan Mighell with a chunky Lake Belton hybrid taken from 43 feet of water. Justin Hall, the youth pastor at the Gatesville Church of Christ, with a hard-fighting hybrid taken on live shad. 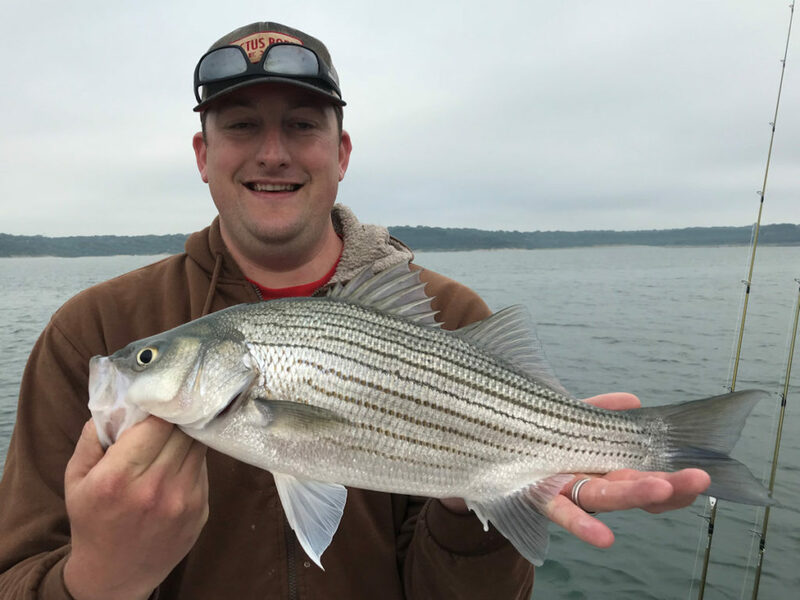 HOW WE FISHED: Fishing really turned around thanks to the first really “fishy” weather we’ve had in a long time. Some nice low pressure, grey clouds, and southerly winds dominated the weather today and is forecast to hang around all week. The fish instantly responded and were feeding well and posturing up off bottom where they could be easily seen on sonar. 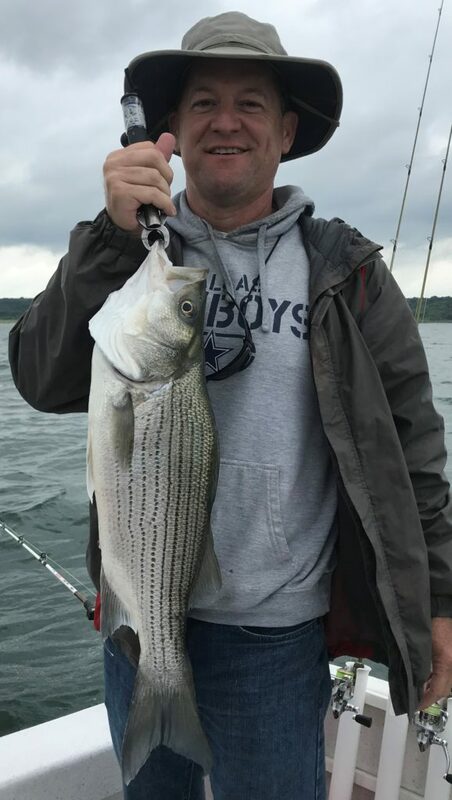 We fished live shad from start to finish and put 59 fish in the boat with just over half being legal (18″ +) hybrid striped bass. OBSERVATIONS/NOTES: 1) The grey clouds, balmy overnight temperatures, and southerly winds really activated the fish today. We caught fish steadily over the entire 4+ hours we spent on the water. 2) The 67.1F water was the season’s warmest thus far. 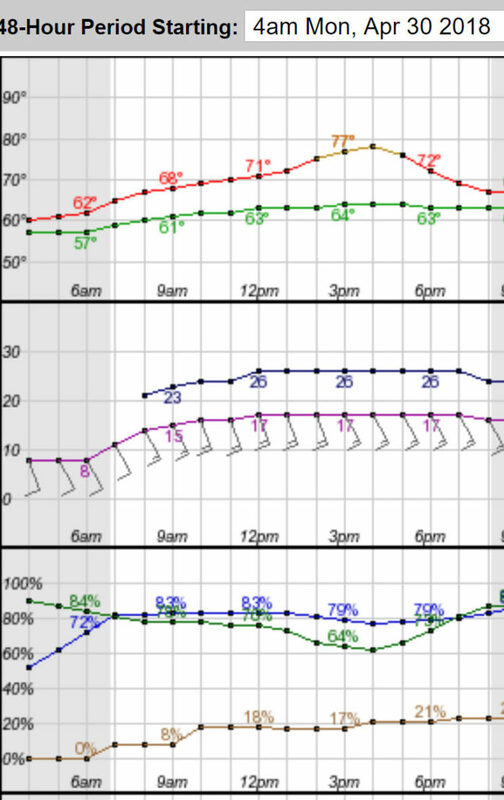 Wind Speed & Direction: SSE9-11 through 10:30, then shifting and strengthening S13-14 thereafter.